Click Here to Download Tab Hound Today! Searching for worksheets and navigating to them. Moving, organizing, and coloring sheets. Flipping back and forth between two sheets. Do you ever work with Excel files that contain more than 5 or 10 worksheets? If so, you probably find yourself spending extra time navigating through these workbooks. Especially when you are in a meeting, or someone is looking over your shoulder. Have you ever said these words when looking for a sheet in your workbook, “Hold on boss, I know it's here somewhere…”? Just finding a worksheet in a large workbook can be a frustrating and time consuming task. You have to scroll horizontally across the tab names at the bottom of the screen. And you either click the scroll arrows repeatedly with the mouse, or press the Ctrl+Page Up/Page Down keyboard shortcuts. Moving, organizing, coloring sheets, etc. Do you feel like you spend extra time doing any of the above? These are common tasks we do every day, but they are not always easy to perform. Often times you will find yourself doing the same repetitive task over and over again, just to produce the same result as last week or last month. 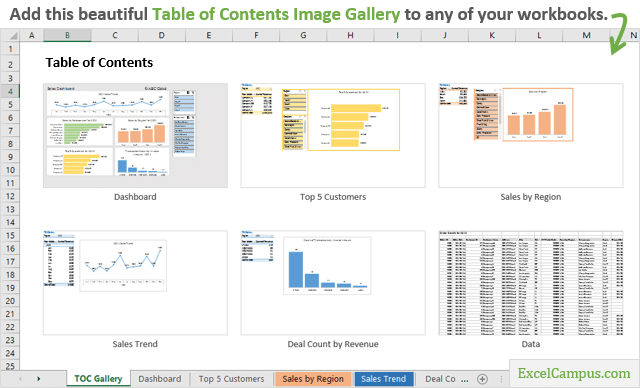 Excel is an amazing tool, and it can be very fun and exciting to use. But these repetitive tasks are NOT the fun part. They take time away from your overall mission of finding and analyzing results to help make better business decisions. Your job is important and you are probably responsible for adding a lot of value to your organization through you work. Whether you are scrubbing data or creating complex financial models and dashboards, you are helping your organization succeed. The more time you spend producing the results, the greater the impact you will have in your organization and your career. But spending time doing common repetitive tasks like, “unhiding 10 sheets for this month's reporting package”, takes time away from other tasks that are more important (and fun). So how do we spend more time doing the fun stuff that will help others, and less time doing the boring repetitive stuff? My name is Jon and I use Excel all day, every day. I spend so much time using it that Microsoft recently awarded me with their MVP award. Well, I think they actually gave me the award for helping others learn how to use Excel. But either way, I spend a lot of time using Excel. Since I spend so much time using Excel, I strive to use it in the most efficient way possible. If you read my blog then you know I focus on saving time and being productive. I want to get my work done as quick as possible so I can spend time enjoying life with my family and loved ones. One thing I've always found challenging in Excel is navigating to a specific worksheet in a workbook. Especially when this workbook contains a lot of sheets. It's difficult to find a worksheet and then navigate to it. Excel does NOT have a built-in search feature for this. So I decided to create a tool that would solve this problem. The tool I built to do this is Tab Hound. Tab Hound is an add-in for Excel that will save you a ton of time with your everyday worksheet tasks. It is packed with features that automate common processes, and help you get your job done quickly. Tab Hound makes it extremely fast and easy to find any sheet in your workbook and jump right to it. I wanted a way to perform this search without touching the mouse. Simply press a keyboard shortcut, type the name of the sheet I'm looking for, then press enter to go to that sheet. Tab Hound makes this possible whether you're a keyboard or mouse user. Either way, it's lightning fast! unhiding multiple sheets at the same time, etc. These are tasks we all do frequently, and they require multiple steps to complete. Did you know Excel requires six mouse clicks to copy a sheet to a new workbook? That's a lot of steps for such a simple task. And mouse clicks are time consuming because you are required to move the mouse to a new location for each of those clicks. If you are using a laptop trackpad, then this process can be very slow. So I quickly started adding buttons to Tab Hound to automate these processes. Hide or Unhide multiple sheets at the same time. Copy sheets to a new workbook. Jump to the first or last sheet. Move sheets up, down, first, or last. Flip Back and forth between two sheets. How many worksheets are in this workbook? How many sheets with a specific tab color? Show me all my sheets that have a specific tab color. Show me all my hidden sheets that have the word “jan” in the sheet name. All these simple requests became possible with Tab Hound. The next thing I focused on was making Tab Hound easy to use. Tab Hound will change how you work with the worksheets in your workbooks. It will save you a lot of time. And it does so by being very easy to use. It makes these processes faster and easier to perform than doing them the way you normally would in Excel. Right click the tab name. Select Move or Copy… from the list. Select the sheet you want to place the copy before from the list. Click the create a copy check box. Type a new name for the sheet and press enter. That's a lot of steps to learn and remember for a newbie. With Tab Hound, here is how you would instruct your co-worker to copy and rename a sheet. Type a new name in the box that automatically appears and press Enter. As you can see there are half as many steps with Tab Hound. All steps can be done with keyboard shortcuts or the mouse. And you can copy & rename multiple sheets with the help of Tab Hounds filters to make this process even faster. The point is that Tab Hound will not only save you time, but it is also very easy and intuitive. Your workbooks will become more organized, easier to manage, and easier for others to use and understand. Speaking of making it easier for the readers or consumers of your workbooks… Tab Hound also includes a Table of Contents feature. With a click of a button, you can quickly add a Table of Contents sheet to the front of your workbook that contains links to each sheet. This makes it very easy for the users of your file to see all the sheets in the workbook, and quickly navigate to them. The Table of Contents also contains options that allow you to display the tab color in the list. This makes it easy to distinguish different groups of tabs, and keeps the list organized. You can also add this Table of Contents Gallery sheet that contains clickable image thumbnails of all the sheets in the workbook. It's a great way for your users to preview all sheets in the workbook, and quickly navigate to the sheet they are looking for. Do you ever spend time working between two different worksheets? Maybe you are copying and pasting data or formulas between sheets. Maybe you are checking the results of a few formulas, and you need to jump back to the sheet that contains the source data. Whatever it is, this process can take a lot of time if the worksheets are not located next to each other in the workbook. Tab Hound has a button called Flip Back that will save you a ton of time when working between two sheets. Simply press the Flip Back button on the ribbon to go to the last sheet you were on. You can also use a keyboard shortcut to press this button. So flipping between two sheets becomes lightning fast. You can repeatedly press the Flip Back button to jump back and forth between two sheets. Flip Back is also great if you forget what sheet you were just looking at. I hate when this happens and now I can just press the Flip Back button to go back to the last sheet I was on. Well, what do you think? Do you want to dramatically increase your productivity and save a ton of time with your everyday tasks? Tab Hound will change how you work with your workbooks and help you get your work done in a fraction of the time. You will be able to spend more time on important (and fun) work that helps you make a bigger impact. No one is ever judged by how many sheets they could unhide in a minute… 🙂 So why waste time doing it? The goal of Tab Hound is to help you navigate through your workbooks and get your job done faster. I honestly love Tab Hound and Tab Control. I use them all the time. I shudder to think how I used to have to navigate back and forth between sheets, or how long it took to unhide multiple sheets in a large workbook. Fantastic. I like the flip back feature. I’ve got one file where I’m always going back and forth between one detail tab, this will save a ton of time. Having said that, I have a DoubleSight which is a 30” monitor along with the measly 19” secondary. The flip back is great. Unhide multiple sheets – awesome because one by one unhiding is a pain. Color sheet and alpha filter – very nice and useful feature. Like it. Copy sheet to new book – another time saver, having to go through multiple clicks and to do it in couple of clicks, this is very useful. Tab control – renaming, moving, this is great. One thing I might recommend is to add another column, an original sort column, that will allow resorting the tab list in a different manner and/or, put it back the way it was. Let me start by saying that this is a fantastic product and a real game changer! The flip back for me is a great feature but the Table of Contents, well that's just taken Tab Hound to another level! The Tab Hound Add-in that will help you fly through your workbooks and perform everyday tasks with ease. Quickly search and jump to the worksheets in your workbooks with Search. Hide and Unhide multiple sheets at the same time. Copy & rename sheets with the click of a button. Copy sheets to a new book in one step, instead of six. Move sheets with-in the workbook. Protect/Unprotect multiple sheets at the same time. Add a Table of Contents to your workbook. Tab Control helps you automate processes with the worksheets in your workbooks. You can easily organize, reorder, rename, color, hide/unhide, and add sheets to your workbook. If you spend time hiding and unhiding sheets for a periodic reporting package, then Tab Control will save you a lot of time. Get these free bonuses with along with Tab Hound for a limited time. Do you know one of these people that seems to be able to jump around a worksheet or workbook really fast? Getting a task done very quickly with little effort. I call these people keyboard ninjas. 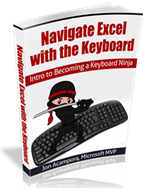 In this book I show you tips and keyboard shortcuts that will start you on the path to becoming a keyboard ninja. Learning keyboard shortcuts takes practice, but it will save you a lot of time and help you get your job done faster. This 6-part video series follows the book and will help you implement these techniques. I explain how to use these shortcuts and give real life examples of how you can apply them in your work to get things done quickly. It is nice to be able to see these shortcuts in action, so you can learn how to apply them in your work. Click the Add to Cart button below to get Tab Hound, Tab Control and all the bonuses right now. You will be able to download all the files immediately after checkout. The checkout process is quick, easy, and safe. *Compatibility: Tab Hound and Tab Control are add-ins for Excel. Both add-ins are currently compatible with Excel for Windows version 2007, 2010, 2013, and 2016. They will work with 32-bit and 64-bit versions of Excel. The Mac version is no longer available due to incompatibility with the latest version of Office for Mac. *Licensing: This purchase is for 1 user license for the Tab Hound and Tab Control add-ins. You may install it on multiple computers. Please do not distribute or share the files. I want you to love Tab Hound! If you are not completely satisfied for any reason, I will give you a full refund within 90 days of purchase. And yes, you still get to keep the add-in file and all the bonuses. So you could get a refund and keep all these products for free. I'm hoping you don't do this, and I probably shouldn't even mention it, but I'm willing to take this risk in hopes that Tab Hound will really help you. So try Tab Hound risk-free for 90 days. I am here to help you with any questions. You can contact me directly if you need any helping using Tab Hound. You will also receive installation instructions and there is an online help page with videos that will explain all of the Tab Hound features in more detail. Tab Hound is very easy to use and it will work for you! Two questions for you. What is the keyboard short cut to open Tab Hound and short cut to Flip Back. I’ve used Tab Hound for the past few months and I love it. I think you’ve done a great job with this add-in. Suggestion: Have you ever thought about adding a Print feature to Tab Hound. It would be a great addition to this add-it to select sheets (multiple), by color and Print. 1. are all your add ins compatible with Office 365 or 2016 versions of Excel? My office upgraded to Office 365 this year and your pricing page looks like newer versions aren’t supported. 2. I also work on my business files at home on my MAC (High Sierra) using Office 2016. If the answer to question 1 is Yes, do you have bundled pricing for those of us living in a “Bi-OS” work situation? publish, I’ll attempt to get the gras of it! Do you have updated files for Mac Excel 2016? Unfortunately I don’t have updates for 2016 for Mac yet. The latest Mac version does not allow us to modify userforms in the VB Editor yet. So I probably won’t have an updated Mac version until Microsoft makes that possible. Sorry! If any bundle offer for all excel Add-in in one time purchase, if you have offer tell to me. Hi, how can I have access to this add-in tools for excel? i am using Tab Hound now, i notice that Tab Hound do not include vba code for very hidden sheets and unhide very hidden sheets. if Tab Hound able to add on very hidden sheets and unhide very hidden. Tab Hound add-in very be very perfect. Going through your VBA training course where I discovered your Tab Hound add-in. If I purchase it can it be applied or added to a master macro file with VBA code? I’ve taken over developing and improving this master file that generates any number of worksheets depending on the project size. It is the users who use the master as a template to create project specific workbooks. If I purchase Tab Hound and add it to the master will the users be able to use it’s functionality or do they have to get a copy of tab hound? We talking about dozens of users. When your soft places TOC in the workbook, does it place back to TOC links on workbook tabs? 1) What is the validity of Tab Hound add-in? Is this license expired after a certain period? 2) Do we also need to pay any renewal fee? If yes, pls specify. 3) Can I use Tab Hound Add-in on multiple computers? 4) Is this also required any administrator permission to install this add-in on my office computer? No, the TOC does not place the links on the other worksheets. This is by design. I don’t want the TOC tool to override any cells on other worksheets or modify the existing worksheets in any way. The TOC places the backlink on the TOC sheet. You can then copy/paste the back link to the other worksheets in the workbook. This can be done very quickly by first selecting all the sheets in the workbook, then performing the copy/paste. You can select multiple sheets with the Ctrl or Shift key, then select a cell inside the first selected sheet and paste. The backlink will be pasted to all selected sheets. I hope that makes sense. Here are the answers to the other questions. 1) The license does NOT expire. You get lifetime access to the product and any future updates. 2) No, there is NO renewal fee. 3) Yes, you can install Tab Hound on up to 3 computers that you own at any one time. If you get new computers in the future you can install it on those as well without paying any additional fees. 4) No, you will install the add-in through the add-ins menu within Excel. This does not require administrator permissions unless your company restricts the use of macros, VBA, and add-ins. I’d like to re-size the tab hound window so it is taller. Is this something that might be considered in an update? In an ideal world, I’d like top have tab hound (or something like it) reside permanently in the task pane on the right hand side of the excel window. In this case, I’d be willing to dedicate 2″ to 3″ of the entire right hand side of one monitor to a scrollable list of excel sheet tab names. That is a great suggestion and definitely something I am considering. I like the idea of having it in a task pane. I have also thought about putting something like the TOC Gallery in a task pane. I don’t have a date for this, but will keep you updated. Curious if Tab Hound will work with other active Excel add-ons? Yes, Tab Hound will work with other add-ins installed. Please let me know if you have any other questions. Thanks! Do you sell a developer version TabHound? Thanks. I don’t have a developer version at this time. I plan to have one in the future, but not sure when that will be exactly. Please let me know if you have any other questions. Thanks! I highly recommend Tab Hound and Tab Control to anyone. It really saves me time in handling my excel documents. Nothing is better than saving time! I use a workbook with over 150 sheets. I have to share the file with multiple users. What will happen when I save it and someone else (who doesn’t have tab hound) wants to view the workbook? My apologies for not getting back to you sooner. Thank you for purchasing Tab Hound! Other user will be able to work with the workbook without any issues. Any changes that are made by Tab Hound like hiding or unhiding sheets are done with VBA code in the background. This is basically the same as you manually hiding or unhiding a sheet, then sending the file to someone else. They will see the changes that you made. Tab Hound works in the same way. It is just a productivity tools that makes these actions faster for you to perform. However, other users do NOT need to have Tab Hound to see any of those changes. Does that help answer your question? Please let me know if you have any other questions. Thanks again! Is Tab Hound compatible with Excel 2016? I do not see 2016 listed, and wanted to double-check before purchasing. Yes, Tab Hound and Tab Control are compatible with Excel 2016 for Windows. I will update the note on that page. Please let me know if you have any other questions. Thank you! Hi. A couple questions. As I have many dozens of worksheets, a single drop-down search list is still rather difficult to use. As my worksheets (tabs) are largely divided into two categories – ‘Data’ and ‘Text’, can your product create 1)more than one search list, i.e. one for each category, or alternately 2) a search list based on another drop down list that has these two (or other categories)? Also, my worksheet names are rather user un-friendly as the Excel file is imported by another application which requires those rather cumbersome names. Can your product list worksheets by a user-friendly assigned name, but obviously still navigate to the correct worksheet? This would be similar to having a drop down list with two columns where the the column with the user friendly name is the assigned column. Sorry for the lengthy questions and thanks for your reply. My apologies for not getting back to you sooner. I missed your comment. Tab Hound can only use the worksheet names that are in the file. You can use the Tab Control add-in to create a list of all the sheets in a worksheet, then use built-in to quickly rename the files. You could sort and filter the sheets or use the Find and Replace feature in Excel to rename the files. Will this work with office 365 since the excel software isn’t actually on my work PC per se ? I don’t have admisnistrator permissions. Can I install the addin once the excel software is active on my pc & will I have to do that every day ? Yes, you should be able to install the add-in with Office 365 as long as you have Excel installed on your computer. You will NOT need to reinstall the add-in every day. Once installed, the add-in will load when you open Excel. Please let me know if you have any questions. Thanks! For some reason I lost the quick access to the tab hound on my customize toolbar. When I try to locate it in the excel option menu it is not listed under the list of commands. Can you point to where I can find the instructions to set this up. You should be able to add the Tab Hound button to the Quick Access Toolbar by right-clicking on the Tab Hound button in the XL Campus tab, then choosing Add to Quick Access Toolbar. If I use this for hiding/unhiding sheets with tab control and send the file to someone else, will the functionality be lost or will that person be able to select a drop down to change the visibility of tabs and click run? The other user will also have to have the Tab Control add-in installed for it to work on their end. Please let me know if you have any other questions. Great addin. I wrote mine about A5 years ago but this beats it and has given me new ideas. I am very keen to purchase your tab hound. I will like this to be installed in my existing Excel workbook – will this be a problem? Also I use the workbook at my work computer (a public hospital) and my home computer – is this ok? Great questions! Yes, you will be able to use Tab Hound on your existing workbooks. Tab Hound is an add-in, and once you install it a new tab named “XL Campus” will appear in the ribbon with the buttons. This means you can use Tab Hound on any workbook that you have open. This can be an old workbook or a new workbook. Yes, you can purchase one license and use it up to three computers that you own or use. So you can install it on your work computer and home computer. Please let me know if you have any other questions. I apologize for the delay in response as well. I did not see your comment come through. I am very interested in the TOC feature. Is the numbering reflecting the relative position of the sheets? Or is it calculating the number of printed pages on each sheet and accumulating them to determine the number? The distinction is important. If I am printing the TOC as part of a report where all the printed pates are numbered (such as 1 of 10, 2 of 10, etc. ), then I want the TOC to reflect the numbers from the printed pages. For example, sheet 1 might be 5 printed pages. The TOC should show sheet one beginning on page 1 but sheet two as 6 rather than as 2. Also, I want the numbering of pages following the TOC to consider that I have sheets being printed in front of them, such as a cover sheet plus the TOC page. Is there a way to consider these pages in the numbering schema? For example, sheet 1 might be the first sheet after the TOC. However, when printed at part of the report, sheet 1 may actually begin on page three. Page one would be the cover page and page two would be the TOC. Awesome questions! Currently, the TOC feature is only reflecting the current position of the sheets. It is meant to be used as a navigation tool to navigate to the sheets in the workbook. Your idea for a “printable TOC” is great! I never thought of this before, but I see how it could be extremely useful. I also appreciate you detailing the specifics of the page numbering schema. This is definitely all possible, and I will add it to the list for a future version. Jon, Tab Hound looks like a perfect solution to an issue I have. I inherited a workbook with dozens of sheets and it is a pain to scroll back and forth between the sheets. I certainly plan to purchase it. But once I pay for the download and install it on one computer, how do I install it to my other computer? Do I have to download it from the other computer too? And, if so, wouldn’t I have to pay a second time? Please explain how to install on my two computers. Great question. Yes, you can install Tab Hound on multiple computers that you own. Once you purchase Tab Hound, you will receive an email with a link to your download page where you can download the add-in files. To install Tab Hound on your second computer, open that purchase confirmation email on your second computer, click the link to go to the download page, then download the files and follow the installation instructions. You could also transfer the add-in files on a flash drive if your second computer is not connected to the internet. All the download files are packaged in one zip file, and step-by-step instructions are included on the download page. Please let me know if this is clear, and if you have any other questions. Hi Jon – does Tab Hound work with “very hidden” tabs too? Thanks. The quick answer is “not yet”. I intentionally left the “very hidden” tabs out of Tab Hound. The reasoning was if you are making tabs very hidden, you are probably doing this so users cannot find or edit them. If your user was using Tab Hound, then they would be able to see your very hidden tabs and unhide them. With that said, I think Tab Hound is the perfect platform to work with very hidden tabs. It would be much easier than having to open the VB Editor each time you want to make a change. I have to do some more testing to see how this feature can be incorporated, but I think it’s possible. I will be adding more features to Tab Hound, and these new features will be a free upgrade to everyone that has purchased Tab Hound. I just purchased and downloaded the Tab Hound and Tab Control Add-ons. But I did not receive a link or anything to Free Bonuses 2 and 3. Thanks. The eBook is included in the zip file with the add-ins that you downloaded after purchase. The eBook contains a link to a private page where you can watch the video series. I’m sorry this wasn’t made clear on the download page and I have updated the instructions to explain it better. Please let me know if you have any other questions. Thank you for your purchase! When will the Mac vesion be available. When I buy TAB HOUND next week for my windows based computers, can I install it on 2 personal computers? Yes, you can install Tab Hound on 2 of your personal computers with the purchase of one license. The Mac version will be available next week. I will notify you when it is available. Here is a screenshot. It will have all the same functionality as the Windows version. The Mac version is now available. Please click the link below to learn more about it. EAGERLY awaiting the Mac version! The Mac version has it’s own toolbar to access Tab Hound and Tab Control. You can also create custom keyboard shortcuts to open Tab Hound, perform the Flip Back, and create the Table of Contents. Please let me know if you have any questions or suggestions. Thank you! Just bought …. installing now. Will let you know! Thank you Lynne! 🙂 Please let me know if you have any questions.